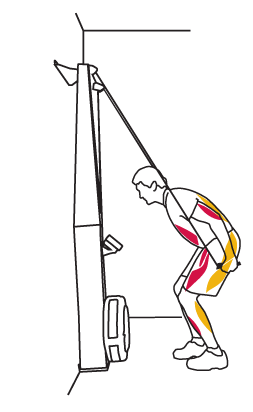 Skiing is a coordinated muscle action that involves every large muscle group in the body. 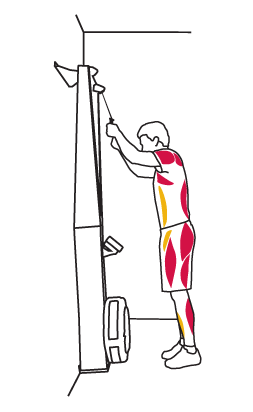 The following sections illustrate the primary muscles used during each movement of the skiing pull. 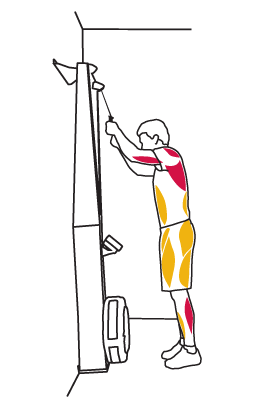 Both the primary (red) and secondary muscles (yellow) work together in a synchronized fashion to accomplish the movement but with different levels of involvement and power output. 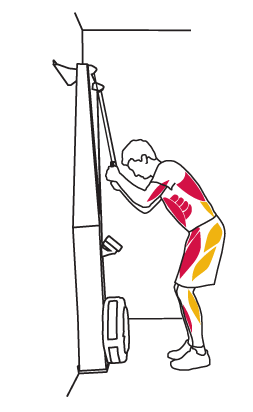 Refer to the following or see SkiErg Muscles Used.